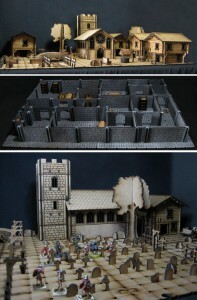 I noticed this Kickstarter project the other day which I think looks amazing. 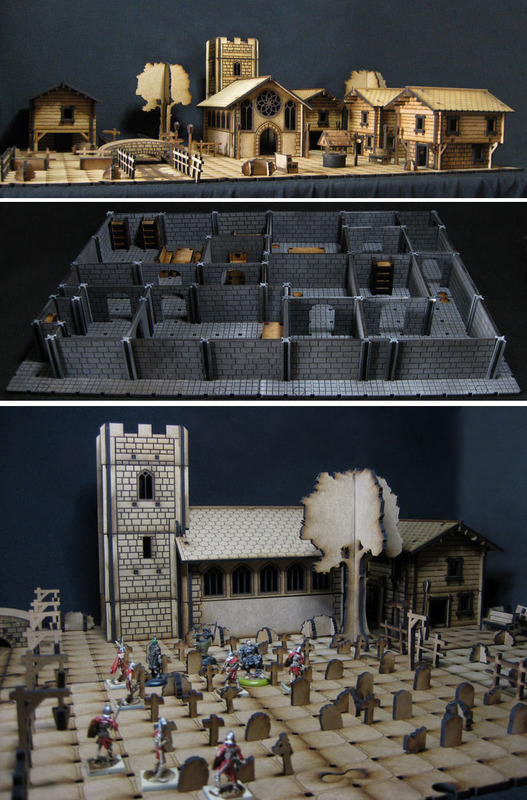 The project is creating laser-cut wood pieces with which you can make dungeons or villages for table top play. Some of the pieces attach to the base plate(s) and the rest of the items slot together so it’s completely modular and can be taken apart too. Floors and roofs can be removed too so you can use the inside of the buildings. Whilst primarily for role-playing and table top games, I think they’d be great as the board for a board game too. The time lapse video of the project creator making one of the sets is interesting to watch. Check out the headstones in the graveyard – you can have one inscribed with your name if you want.